In the old days, constructing a building was a menace. Engineers had to start from scratch by bending and shaping metals to achieve what they wanted. With a lot of time and resources wasted through this method, engineers came up with something called pre-engineered metal buildings. These metal structures are not only cheap but can stand the beating of time. Now, use of metal buildings is a growing trend which will continue to rise due to its benefits it provides to engineers and property owners. Durability and strength: These metal building are built entirely out of steel including beams, walls, frames, and columns. As everyone knows, steel is an ideal material to construct a building, these prefabricated metal buildings and extremely versatile and strong. These structures are made out of galvanized steel which is coated with aluminum zinc for protection against rust and fire. Eco-friendly: Apart from the number of saved resources from getting a prefab building, these metal structures are also eco-friendly. Steel being recyclable, the building can easily be torn down after use to make another structure or material. Rather than cutting down trees to build wood construction, steel is more environmentally friendly. The building also requires less space to construct compared to a wooden structure. Customizable: As these pre-engineered metal buildings are made from steel which can be easily mold, they provide extremely customizability and variety of options to choose from. The prefab building is shipped after being molded, drilled and punched together in a centralized area. The only thing after the shipment reaches the designated property is the assembly of the steel structure. As these building are predrilled, all that is a need to be done is to bolt all the parts together which do not require any professional assistance from an engineer or architect. Construction: If you plan to go for a pre-engineered metal building, you must know that these are easy to set up, which can save you a lot of time and resources to hire a professional to do. A conventional structure may take months to erect while these metal frames can go up in a matter of days. Before ordering a prefab building, you can customize your order according to your needs. Be it a best available metal building office space, warehouse or poultry farm, your order is designed according to your needs. Versatility: Ever wondered how warehouses are able to construct an obstacle free area? Many of the warehouses today have started using prefab buildings in order to get the most obstacle free area. This will not only give you the ability to store large objects, but a cut down of cost on building support columns. As these structures are boundary-less, the length of the structure can easily be increased to almost anything. Low maintenance cost: Getting a prefabricated steel structure will not only cut down on your initial investment but also maintenance cost. Unlike concrete and wood, which requires regular maintenance, the steel structure is extremely strong and do not tend to erode even after years of use. Portable: Businesses who require work on remote locations with continuous movement of offices, these steel buildings are perfect for their use. The structure can easily be lifted and kept on roofs or relocated to other construction sites for further use. As the prefab buildings are extremely strong, the movement does not harm the actual frame of the building. 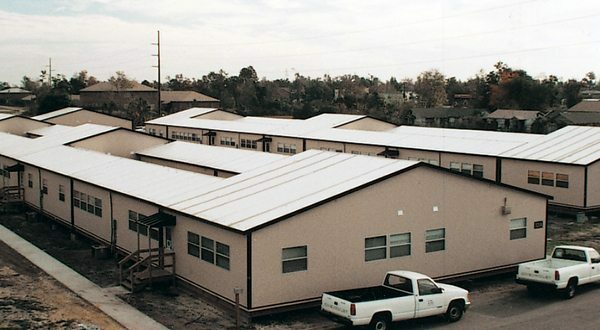 Why choose Panel built for best available metal building offices? If you are looking to purchase prefabricated metal buildings online, Panel built is the choice to go with. At panel built, the structures can be built within weeks compared to conventional buildings which can take months to construct. A Smaller building can take just a few weeks to construct while large buildings can be built in just under few months. The structures are cost effective as the parts are prepared using automation processes which decrease the cost to produce each building and can reduce on-site installation expense to 50%. Considering the variety of uses, this structure will be used for; Panel build prefab buildings are expandable to any extent imaginable. Just by removing the sidewalls and adding a new framework, your building can grow according to your needs. With forklift columns provided on small steel buildings, they can easily be lifted by a fork lifter and can be kept almost anywhere. These buildings are not only strong they can easily adapt and blend to the aesthetic conditions of an office space. The structure allows adding any finish to match the existing office space. As being eco-friendly one of the last benefits of going with Panels Built Structures is the ability to insulted temperatures. While staying warm in winter and cool in summer, the building can cut your energy expenses too. Apart from all the benefits from buying from Panel Built, our customer support staff is always happy to help out our clients. We can develop custom made buildings and deliver right to your doorstep. Now, you do not have to worry about handling shipping, labor and engineers as Panel Built structure are ready to use. Panel Built a leading modular design solutions provider offers the best available prefabricated metal buildings. Some of the cheapest modular structures available with ample customizations can be found at Panel Built. 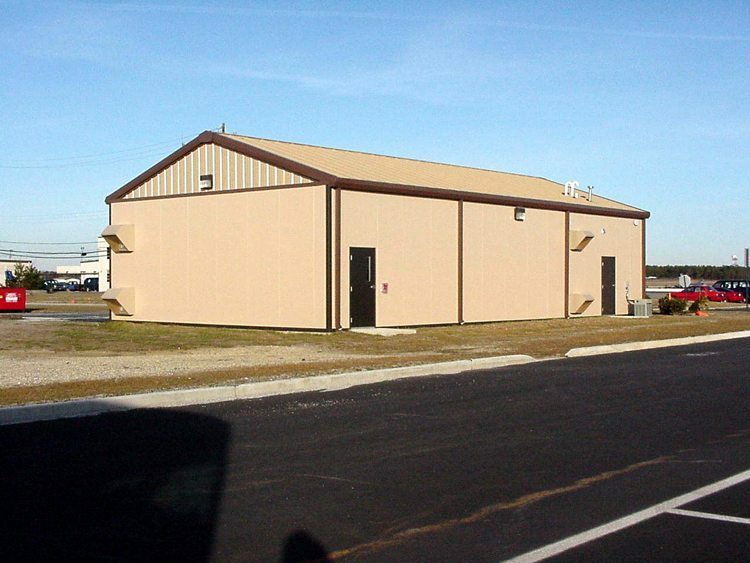 We offer the best available metal building offices online which are an added benefit since Panel Built allows you to order prefabricated metal buildings online through the website. Panel Built modular structures are 100% re-locatable and expandable. We offer many options to buy or lease, as well as assistance with financing. We ensure strength and durability, which is the “core” of our building quality. Our light-weight, highly mobile structural panels meet all military specifications and exceed most national building codes and OSHA requirements.